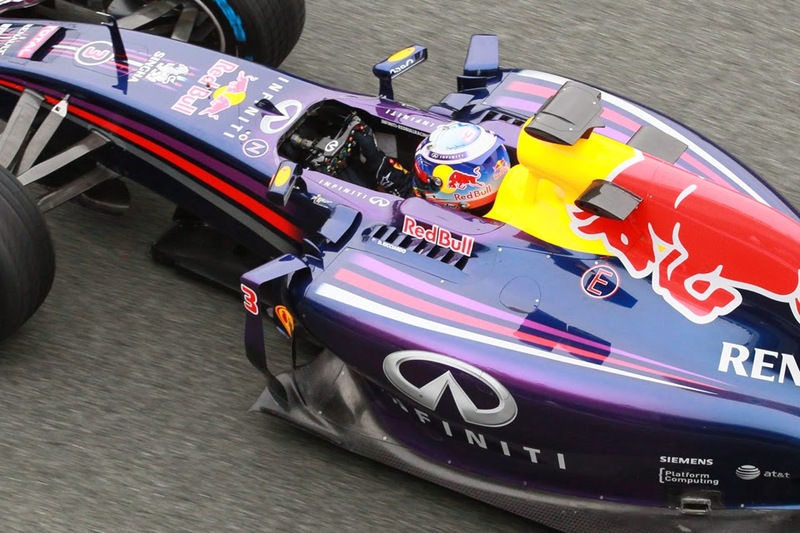 In recent weeks and months we've all had our say on the 2014-spec Formula One. Consensus has been hard to find, but one aspect wherein there has been close to unanimity was that a lot would vary from what had gone before. New chassis, new engines (check that, power units - even the name is new), new regulations - especially on fuel restrictions - that threatened to usher in a form F1 racing not as we have known it, new drivers, plenty of new combinations. In short, for the Australian Grand Prix today much was new. And broadly it turned out to be refreshingly so. Change isn't necessarily good of course, and plenty aired trepidation in advance. One swallow doesn't make a summer either, and with any new formula we should wait a few races for matters to settle before we draw firm conclusions. But today in our first demonstration of it all at the very least most of the predictions at the doom-mongering end of the spectrum didn't come to pass. Fifteen cars were still circulating at the end; 14 classified; only five stopped due to technical woes. The race wasn't to outward eyes a conspicuous fuel economy run - it was helped by a safety car and an added formation lap, but this race is in the top three on the calendar for fuel thirstiness. Once again, the almost superhuman ability of the sport's fraternity to overcome grand challenge and do so in an implausible timescale was on show. Moreover a particular team - contrary to the forecast of a certain team principal - didn't lap the field twice. Or once. Or get close to it. It did dominate proceedings though. 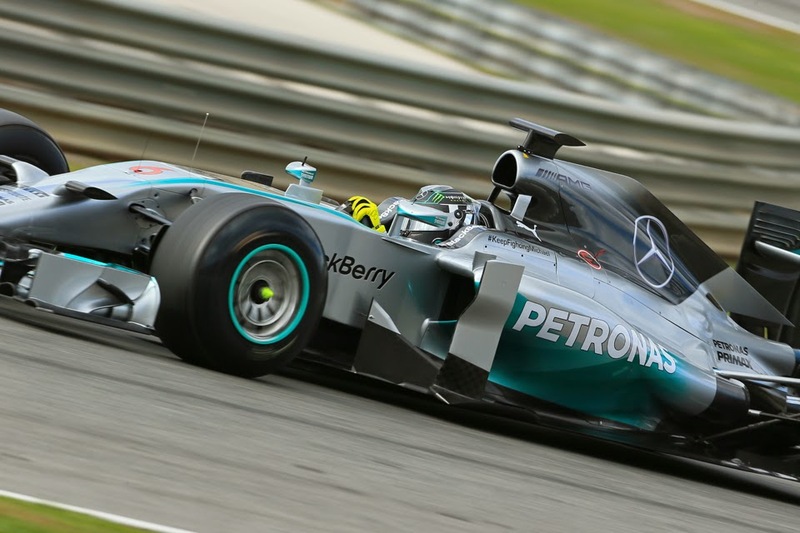 One prediction that did come to pass is that right now the Mercedes is the car to beat. Even after yesterday's rain in qualifying that added enough variables to keep Nico Rosberg off the front row, from early in practice about the only question over first place reliability willing was which Merc would triumph. And soon we had our answer. Before even the red light went out pole man Lewis Hamilton had terminal problems, and the team knew it. His power unit had only five working cylinders not six, depriving him of power. Rosberg sailed past off the line; Daniel Ricciardo sneaked past under braking for turn one; Kevin Magnussen blasted past further around the lap; Nico Hulkenberg did similar the next time around. Before two tours were out his engineer was advising him to park it, which Lewis duly did a lap later. From that point on there was only one race for the win: that between Nico Rosberg and reliability; only mechanical woes - which no team, least of all Merc as Lewis would attest, could disregard - stood capable of stopping him. But no such problems afflicted the other Silver Arrow, which meant that the result was certain. Almost unnoticed (certainly by the TV feed director) he was still out ahead at the end, close to 25 seconds to the good achieved most probably with something in hand. That he set his fastest lap still with plenty of fuel on board - on lap 19 of 57 - and at the time it was in the region of three seconds quicker than cars not much further down the order, may be instructive. Nico looked utterly in command throughout. Granted, he had an open goal today, but he kicked the ball into the net hard and true. And the 25 point buffer he has on his team mate will be welcome. Not for nothing he declared himself as 'over the moon' afterwards, and paid tribute to his 'amazing Silver Arrow'. Rather a lot felt new about today, and behind Nico appropriately two drivers - one on debut - made their first appearance on the podium. Both too achieved it with a flawless performance. It all added up to Ted Kravitz saying subsequently that he hasn't 'seen such a happy podium for many a month - it's delightful to see three guys who are just delighted to be up there'. Daniel Ricciardo had the widest smile of all (though that isn't too unusual), and showed that despite everything the Red Bull is far from the worst car in the world by undertaking a fine run to second place, appearing to have the legs of most cars behind as he did so. And the outcome seemed a genuine surprise to the Milton Keynes team: Ricciardo commented that no one in advance would have bet on a Red Bull pilot being present on the podium while Christian Horner noted that today was the first time the car had done more than 20 laps in one go. While the reaction of the Australian public on the podium was wonderful, typically, and the ever cheerful Ricciardo responded in kind. While not far behind Kevin Magnussen circulated smoothly to third, all the while looking like succeeding in F1 - let alone just operating in it - is the most natural thing in the world to him. And while he clearly was happy afterwards his measured and composed demeanour remained. The future of F1 looks in safe hands. One thing that emerged after the race seemed horribly familiar however: the stewards intervening in a race result. This time it was technical, and they couldn't have picked someone whose punishment would cause more regret: namely home hero Daniel Ricciardo; the guy who took second place on the road. His car according to the stewards had 'consistently' exceeded the proscribed fuel flow limit of 100kg per hour (one of many new regs for this year). It seemed an open and shut case at the broadest level, and some have said that only a faulty FIA fuel sensor could have saved them (this was told to the teams in advance apparently). Others noted that the team probably would have been told during the race of its exceeding the limit. Red Bull argued its case but some time later - upwards of five hours after the chequered flag - it was confirmed that Ricciardo's name was indeed to be struck from the results; everyone below moving up one. This will cause much regret as I said, but while the phrase seems worn from overuse it remains true: rules are rules. To not enforce them is anarchy. And a crumb of comfort of this - albeit an meagre one - is that it shows that despite some doubts the FIA can police its new regulations effectively. All involved could do with making quicker decisions though. Quite what led to the team making what seems a fundamental error also will be interesting to discover. 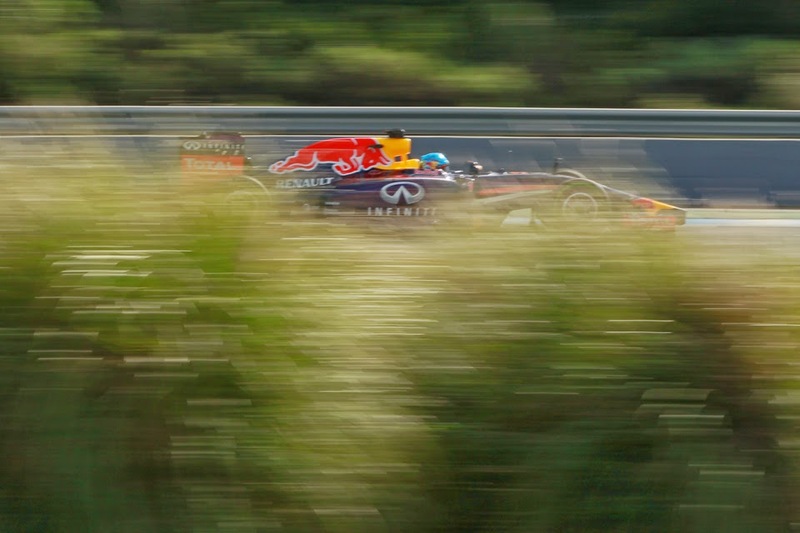 A more substantial crumb of comfort is that all of this absolutely does not diminish the quality of Ricciardo's drive. Jenson Button followed his team mate home in fourth (which became third), rising from a lowly grid slot with the sort of rapid, unobtrusive and smart run that is his trademark. He benefited too from a serious bit of bright thinking at the race's first - and as it turned out only - safety car period, having the presence of mind to dive into the pits upon seeing the boards go out while all others circulated for another lap. This vaulted him up several places, and he claimed two more at the second stops with an undercut. McLaren too even before Ricciardo's disqualification was atop the constructors' table, quite the turnaround on its difficult 2013. The team didn't quite look like Mercedes, but at least it for the first time in more than a year looked something like McLaren. Fernando Alonso was next up, in a result that despite the novelty around also had a nightmarish familiarity. Alonso had commented that he seemed to be placed around fifth in the pecking order all weekend, and that indeed is where he finished on the road. The two red cars had electrical problems that deprived them of power in the race, but it cannot be denied that the Scuderia yet again starts a year off the pace, and some estimate the F14 T to be half a second a lap from the Mercedes. Perhaps such estimates are generous to Ferrari as they're unlikely to take into account the Merc most probably having something in hand today. The team will only hope that its newly-operative wind tunnel allows it to claw the time back. Kimi Raikkonen meanwhile looked a bit better in the race than in qualifying (which is is usual way), but still had a rather scrappy run to eighth, that became seventh. Kimi has admitted that the car's handling isn't to his taste, but most watching on could have gathered that. Valtteri Bottas was next home after Alonso, a result that while it already trumps the points scored by the Williams team in the whole of last season comes with some disappointment. The rain in qualifying scuppered the Grove cars, and this was combined with a five-place gearbox penalty for Bottas. But before you could blink Bottas had risen from a P15 start to P6, and he looked keen to go even higher in short order. Yet almost as soon after that while lining up Alonso he tagged a wall, resulting in a delay from a puncture. He recovered as intimated - indeed he seemed to spend the whole day passing people - but without what was self-admittedly an error on his part he might have been a debutant on the podium himself. While for Felipe Massa his race only lasted until turn one, where he was wiped out by Kamui Kobayashi, who as it transpired had only his front brakes working, something presumably acknowledged by the stewards who let Kobayashi off with causing the smash on the grounds of him having technical problems. Massa - not knowing this important detail - was scathing afterwards but the fair man that he is will conclude now that it was one of those things. Williams however might be wary of its experience of 2009, wherein it didn't take full advantage of an early technical advantage, and was usurped by better-resourced rivals rapidly as the year progressed. While Sebastian Vettel - in the new aspect to top all others today - was a mere footnote in proceedings. Following his software problems in qualifying that contributed to a P12 start he retired from the race with more maladies after just a few laps. To underline the extent that F1 - quite befittingly - never stands still you had to remind yourself that it was the first time in 231 days that Seb had lost an F1 race. And his frustration was plain. But this plus that Seb typically lingered in the Red Bull garage afterwards, seeking solutions as well as absorbing what he could from Ricciardo's race, shows exactly the sort of commitment that will remind all others to not even consider writing him off. So a lot stretches ahead. And in the immediate term the matter that will dominate the discourse up and down the paddock is how exactly do we get on terms with those setting the pace? That part doesn't change. And this time it's Mercedes. Recently discovered your blog, excellent read, thanks. 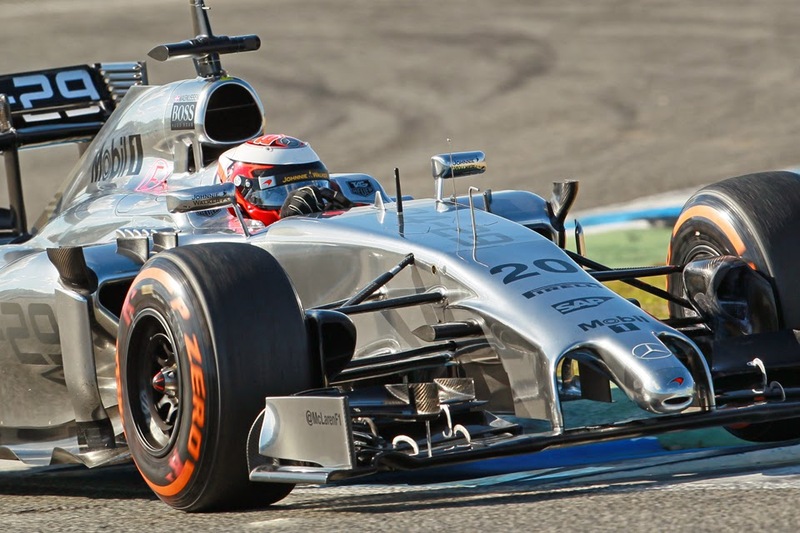 A consensus seems to be developing around the fora that Williams has the second-best car out there right now. I am not so sure; would you know what tires Bottas was on before his puncture? And what tires Alonso, Hulk and Magnussen were on at that time? Thanks very much for visiting as well as for your kind words, it's much appreciated. Bottas was on the same tyres as the other drivers you mentioned when he punctured: the soft. Only Vettel and Guitierrez started on the medium. The Williams certainly looked very quick out there. And indeed, it seems that Alonso has a permanent reservation on 5th. But that was true in previous seasons as well, and he somehow managed to squeeze runner-ups from that fifth-best.